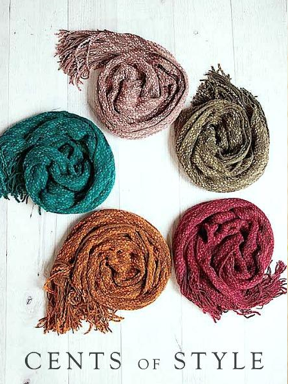 Fashion Friday: One year subscription to Glamour Magazine plus & knit scarf for $12.95 Shipped! 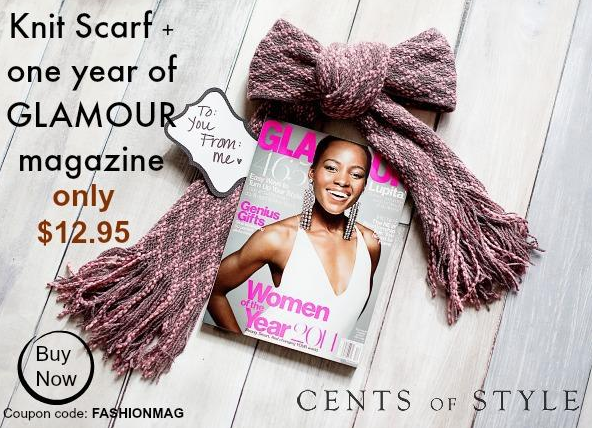 This Friday's Cents Of Style deal is a one year subscription to Glamour Magazine plus & knit scarf for $12.95 plus FREE shipping w/ code FASHIONMAG! Once you have placed the order on Cents of Style for the scarf and magazine, you will receive 2 confirmation emails. One for the scarf and a second with all of the magazine subscription information. You will receive your redemption voucher and a link to claim your subscription. The voucher code for the magazine subscription will expire 12/31/14. The scarves will ship separately next week.